Best Affordable Hosting in Asia? And the Undisputed 2018 Winner is..! I think the best hosting for the Asia-Pacific region is a combination of great support, feature rich plans, quality infrastructure and price. 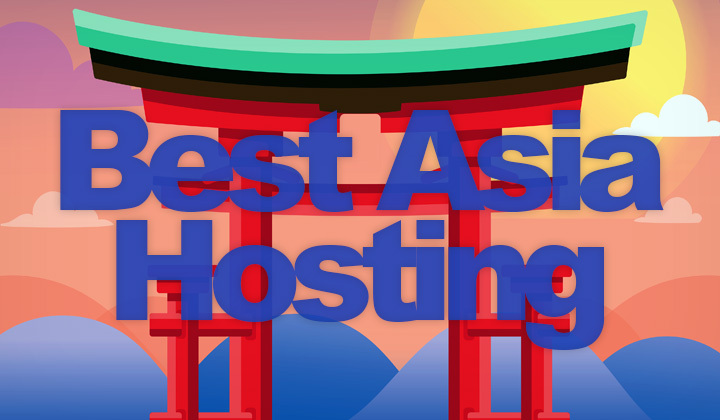 In 2019 only one has it all..
And the undisputed winner for best Asia hosting is…! OK, OK. Enough with the suspension already. FastComet Hosting with data centers in Singapore & Tokyo, Japan. Quality — They do not stuff their servers with too many users that slow you down, and server infrastructure is top-notch with fast, all SSD storage. Support — Mid-sized company with in-house staff available 24h/7 via chat & phone in native English. They known their tech, and they care about their customers. Price — Low, flat pricing is unique in the industry. Meaning the first offer you get is for life, making them one of the most affordable high-end hosts today. Free domain — And it doesn’t end there. Their free domain offer is valid for as long as you keep your site hosted with them, for a life time if you wish. Features — Everything is included in the same basic package without upselling. Free SSL certificates for secure HTTPS, free backups, free CDN, etc. And you can test out their services with a 14-day free trial. Which just shows how confident they are of their own hosting product. I know that to some this might sound like too good to be true, but when I say best, I mean that during all the years I’ve worked in the industry..
Never have I seen such cheap, but high-quality hosting plans! And what about their presence in Asia? Another option is to host your site with free, easy-to-use CDN or Content Delivery Network, that significantly accelerates site speeds in the Asia-Pacific region. So that you can use the US or any other data center location with optimal performance. Or go all the way, and use one of their data centers in Asia. Singapore is known for it’s connectivity throughout the continent as the “premier internet hub in Asia” with the best over-all connection and latency. Japan is an merging trend for a stable, low-latency connection to mainland China & elsewhere in Asia, while simultaneously staying well connected to the US. There are many Asian hosting companies wholly based in either Singapore or Japan. But in my experience, the local hosting industry there is often enough either uncompetitive, or not modern. With non-native English support, etc. Which is why I recommend a greater investment if going down that path. But if you simply need business hosting in Asia with the best possible speeds & performance. I highly recommend opting in for — cloud hosting with FastComet. And that concludes my post, however I have plenty of knowledge on web hosting in the Asian continent / Asia-Pacific region, so questions are more than welcome! Thanks for visiting and please, share if possible. Finally, as always I like to notify my readers that some of these hosting reviews may support the blog in the form of affiliate links. This won’t affect my opinion, or your deal when purchasing services that are linked to. You have my biggest gratitude. Good arguments, looks legit. Thanks for the up!